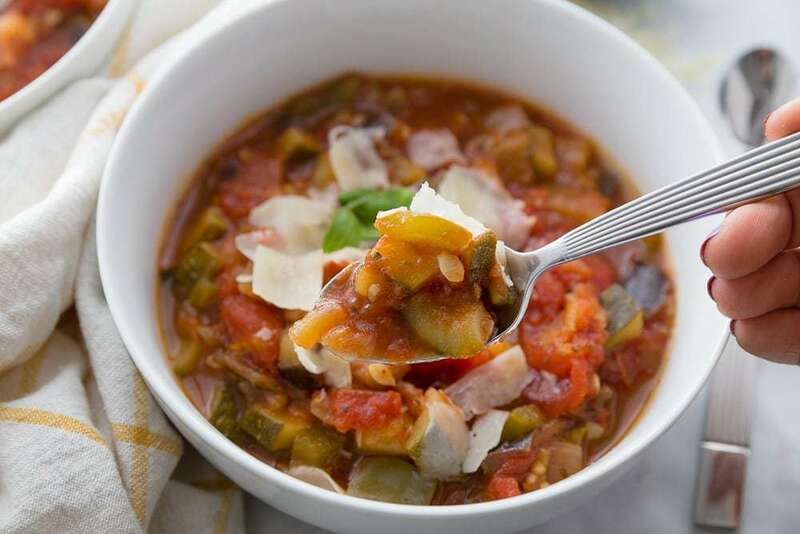 Put all that fresh farmstand produce to good use with this quick and hearty Instant Pot Ratatouille – the perfect low calorie, veggies-only dish for the 21 Day Fix and the 2B Mindset! Confession #149: It’s been hard to embrace the whole Fall/pumpkin everything vibe when the last week has been over 90 degrees here in PA.
And, to be honest, I am always a little sad to let go of summer. Especially summer food and summer produce. I LOVE this time of year when I can stop by the farm stand and get tons of veggies to avoid going to the grocery store whip up lots of healthy and delicious meals. Or, even better, I love when I can just head out to my garden to see what’s out there that can be turned into dinner. 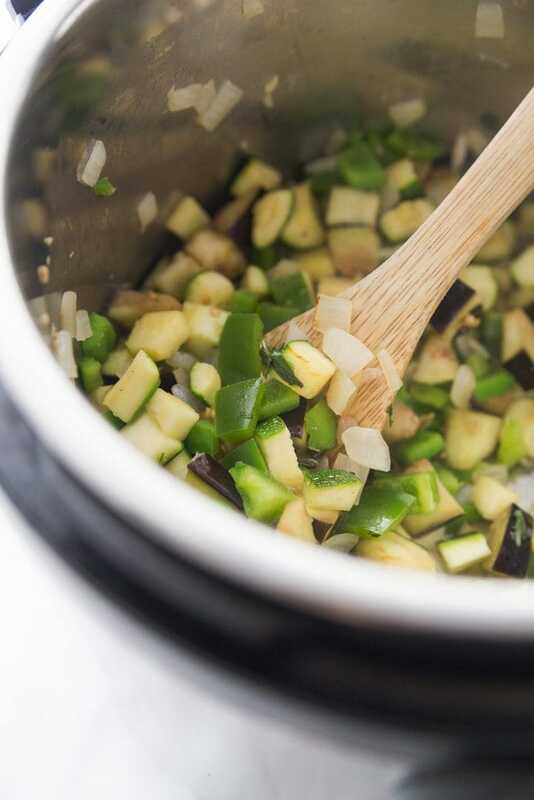 And what better recipe to make than ratatouille when you have more veggies than you know what to do with? 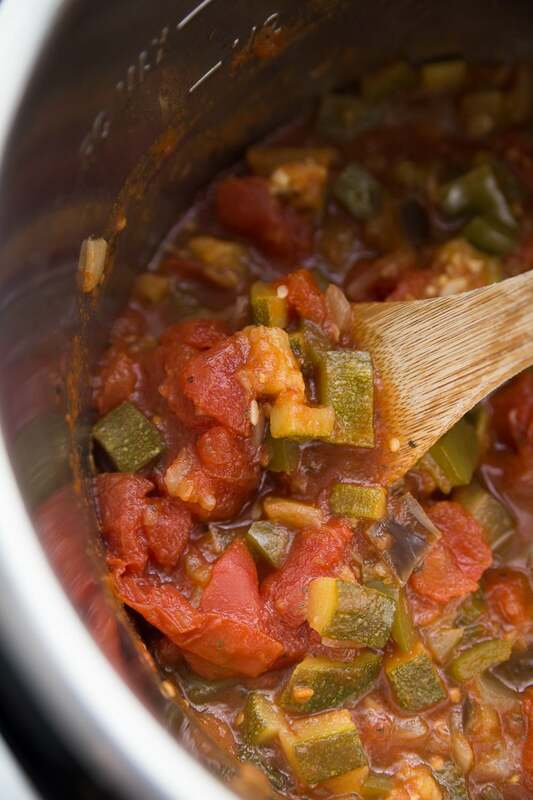 If you’ve never made ratatouille before, it is honestly super easy. 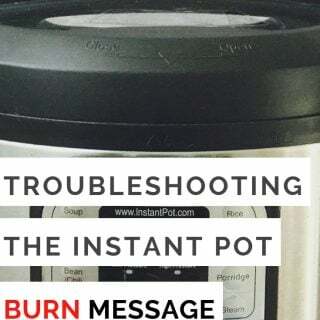 And thanks to the Instant Pot, you can make a huge pot super fast! First, you just saute your veggies in some good olive oil. Then, you simply add in some seasoned stewed tomatoes and set your Instant Pot for three minutes of cooktime. And that’s honestly it! You have a delicious bowl of summer produce heaven and the perfect made ahead lunch, snack, or side dish for your week! 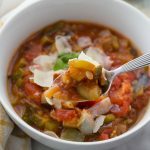 What should I serve with this Instant Pot Ratatouille? 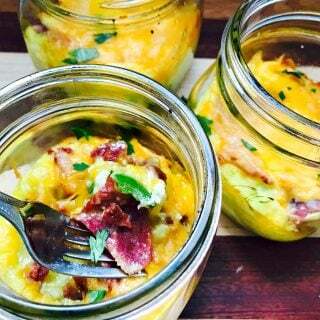 I honestly love this as a meatless dinner or lunch with some shredded parmesan cheese. 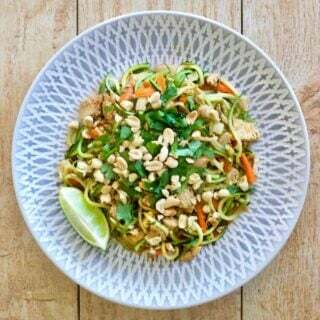 If you are following the 2B Mindset, you could add some chicken or shrimp to this for a complete dinner, too! 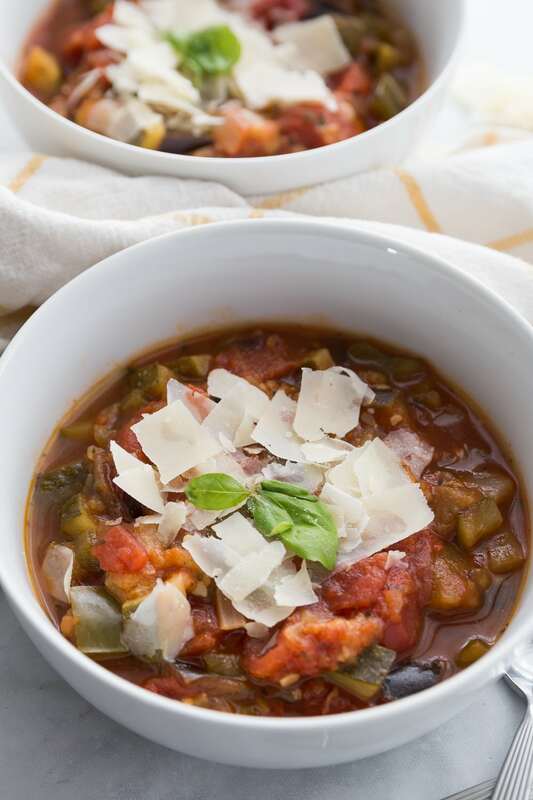 Does this Instant Pot Ratatouille freeze well? This Instant Pot Ratatouille also freezes beautifully, so you can enjoy your fresh farm produce as the weather turns colder, too. I like to freeze it in ziplock bags that lay flat in the freezer, but you could also freeze individual portions using a muffin tin. I love doing this for sauces and chili, too! 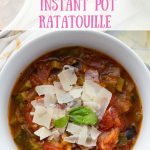 How do I count this Instant Pot Ratatouille for the 21 Day Fix? For each 1 cup serving, this would count as 1 green and 1/2 tsp. 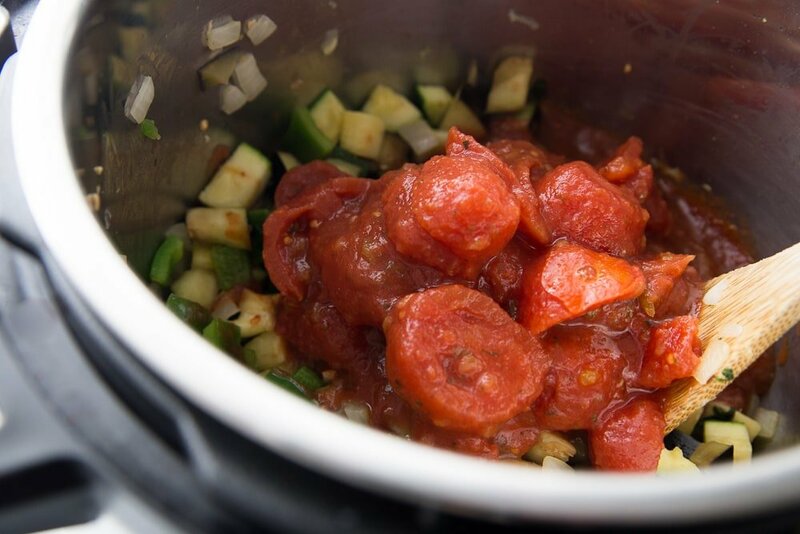 Here’s a video to show you just how easy this Instant Pot Ratatouille is to make! 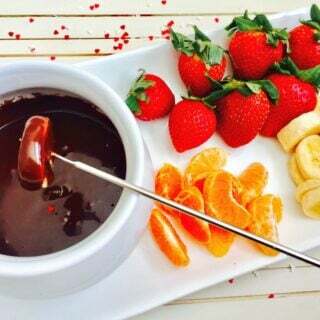 I hope you guys love this recipe as much as I do! It’s an old family recipe and I am so happy I get to share it with you all! 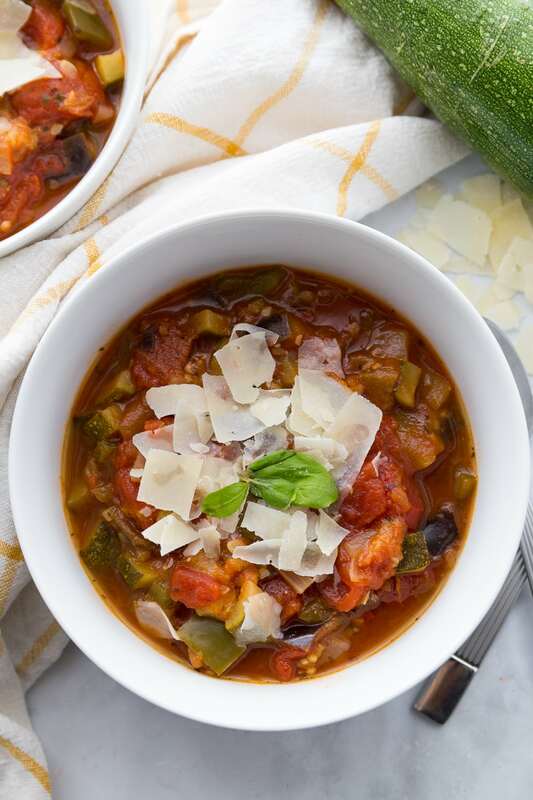 Put all that farmstand fresh produce to good use with this quick and delicious Instant Pot Ratatouille – the perfect veggies-only dish for the 21 Day Fix and the 2B Mindset! 1. Set IP to saute. Once it’s hot, add in olive oil and saute onions for a couple minutes, then add in garlic and cook for an additional minute. 2. Next, add in the remainder of the veggies, except the tomatoes and saute for 5 minutes, stirring frequently. 3. Finally, add in tomatoes and place lid on the IP and select manual/pressure cook for 3 minutes. Quick release after cook time and enjoy with some shaved parmesan.